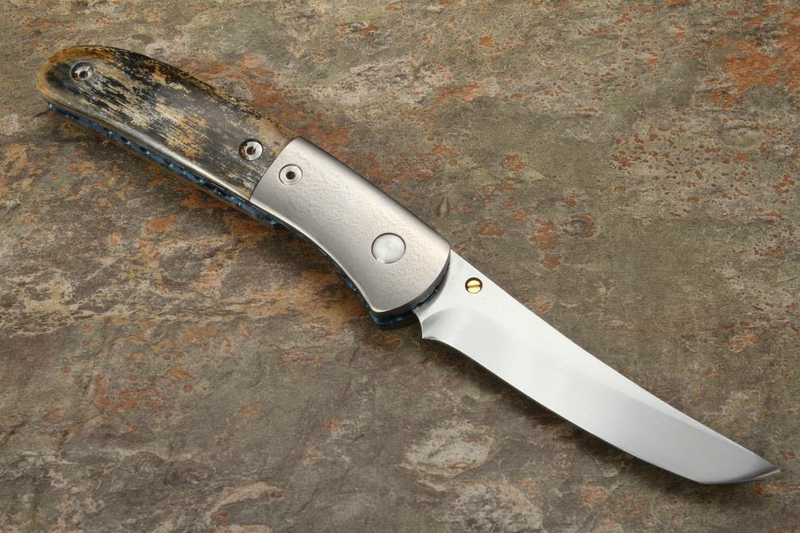 This is a completely custom Mel Pardue Gents liner locking folding knife. 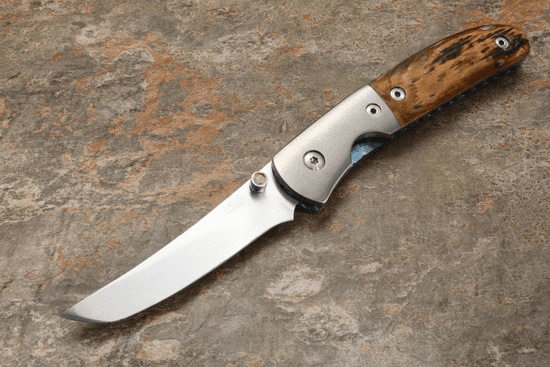 The satin finished knife has a long 3" blade. The stainless steel bolster is dovetailed and hand satin finished. The handle is presentation grade fossil bark mammoth. The durable handle is rounded and hand polished. 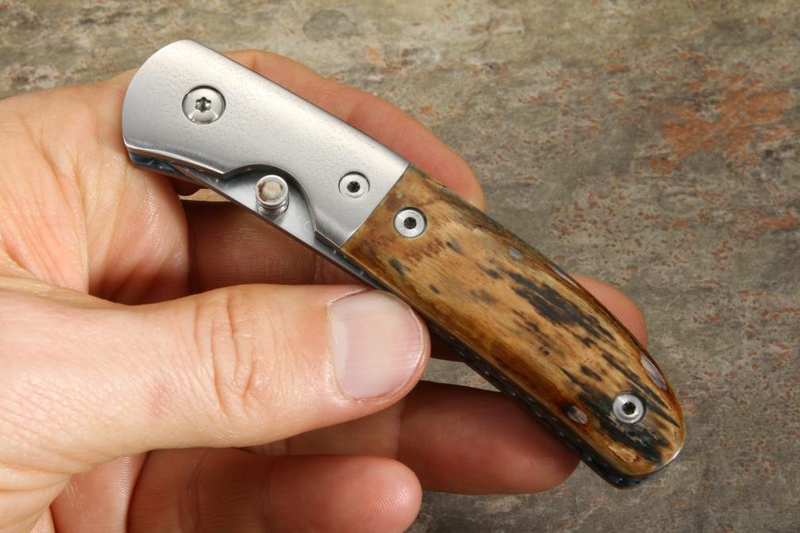 The thumb stud is also inlaid with fossil mammoth, a nice custom touch. 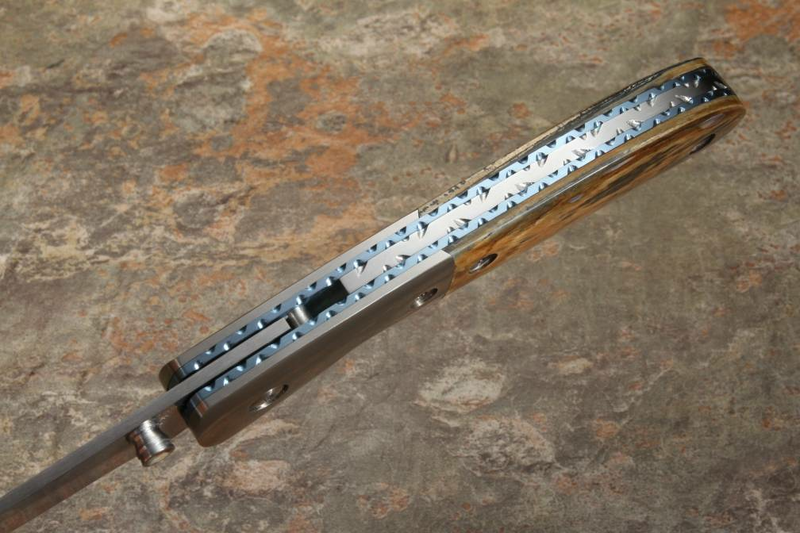 File work covers the stainless steel spacer as well as the blue anodized titanium liners. Smooth opening and closing. Crisp liner lock action.